All are welcome - though please book in advance - all songs are learnt by ear (so there is no need to worry if you don't read music - though this can be sent by email if you would like it for home study), we will be singing primarily for our own pleasure, in a way which allows us to fully enjoy the harmonies we create. There will also be opportunities to perform if singers would like this. Videos of the individual parts are available for free, and emails will be sent with background information about the songs, words and recordings of the part. 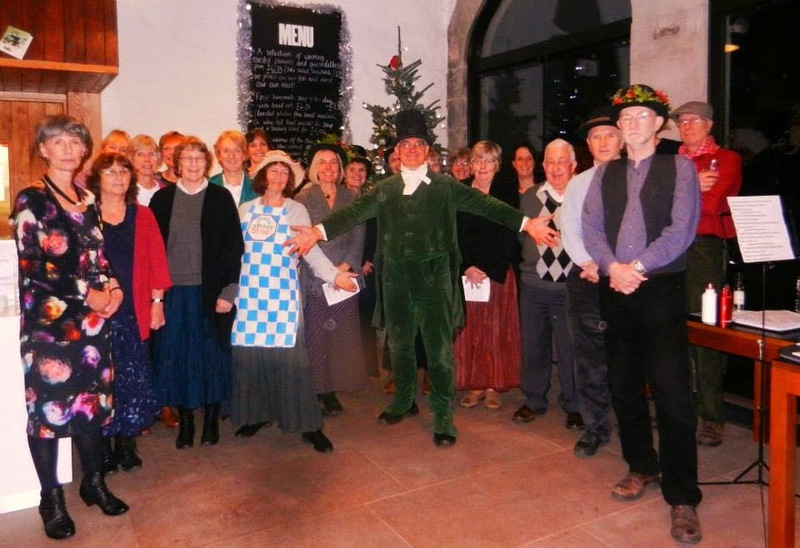 This term we are performing at Apple Day in Acorn Bank on October 9, and also have a couple of outings to the Dent Folk Carols festival on Saturday December 2, and on the Settle Carlisle Railway on Saturday December 9, meeting other choirs at stations along the way. A subscription of £54 for the 10 week term (and usually even longer) is required. Please ring or email if you need more information. This autumn term 2017 starts on Thursday September 7 and will run until Christmas with a break for half term at the end of October.